What to do when your streaming remote is too slick for its own good. 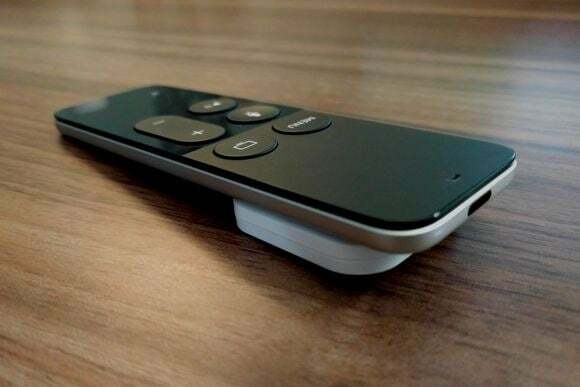 The fourth-generation Apple TV has the most elegant remote control I’ve ever used. It’s thin. It’s light. It has cool-to-the-touch aluminum on the back, and smooth glass on the front. But man, is it easy to lose. My wife eventually reached a breaking point and demanded that we procure some sort of remote-control-tracking device to solve the problem. That’s how I ended up with Tile, a $25 Bluetooth tracker with a built-in speaker. Now whenever the Apple TV remote gets lost, I can open an app on my phone and press a button to have the remote make a sound. Our Apple TV remote is no longer as slick as it used to be, but it will never get lost again. 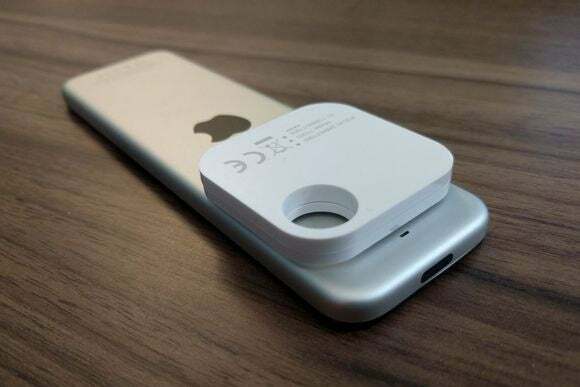 Tile isn’t the only Bluetooth tracker on the market. Similar products are available at similar prices from TrackR, PebbleBee Honey, and Chipolo, which makes me suspect they’re all originating from the same factory somewhere. In any case, I was drawn to Tile because its square, 37mm frame almost perfectly matches the 38mm-wide Apple TV remote. I planned to stick the tracker to the underside of the remote in a place that wouldn’t mess too much with the ergonomics, using some adhesive that Tile sells for an extra $5. Setting up Tile was easy, thanks to a step-by-step guide and clever pairing process. Instead of fiddling with Bluetooth settings menus, you simply press a button on the Tile to make it play a sound, then lay the device on your phone. Tile’s app completes the connection on its own. Pressing the “Find” button sounds a cheery chip-tune on the Tile tracker. On the downside, the app requires you to set up an online account, and it really wants you to enable location services. Location tracking makes sense if you’re attaching Tile to a purse or some car keys—that way you know where it last paired to your phone—but it’s unnecessary for a remote control that’s never leaving the house. If you cut the app off from location services, it’ll pester you to turn access back on. This feels overly needy and just a little bit creepy. Also worth noting: While Tile can pair to multiple devices, it can only connect to one device at a time. That means if my wife and I are both home, only the first phone that connected to Tile is able to ping the remote. Still, Tile is smart enough to find another a connection if the first device drops out out of range, so at least there’s never a situation where the remote becomes untrackable. Figuring out where to affix Tile to the Apple TV remote proved tricky. My first thought was to slap it on the bottom half of the remote, between the Apple logo and the “Designed by Apple in California” tag line, but the Tile is thicker than I expected and I quickly tired of gripping the remote around the tracker’s sharp edges. In the end—and after a considerable effort involving kitchen knives to pry Tile’s ultra-sticky adhesive from its original placement—I settled on placing Tile on the top half of the remote, just below the rear microphone hole. It’s still sort of annoying in that spot, but at least it doesn’t interfere with my grip. If you listen hard enough, you can hear Jony Ive cringing. Tile has proven reliable so far, with ping requests working even when they come days apart. But oddly enough, it now seems like we don’t lose the Apple TV remote as often. Maybe that’s because Tile’s added bulk helps prevent the remote from slipping through couch cracks, or because this whole exercise made me more conscious of where I’m putting the remote down in the first place. There’s also one more catch: Tile’s built-in battery is not replaceable, so when it runs out in a year, I’ll have to pry the tracker apart from the remote and trade it in for a discounted replacement (at around half the $25 price). Ideally, none of this would be necessary. 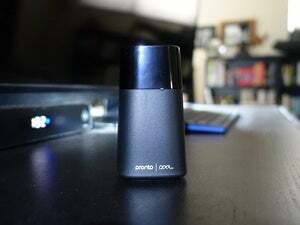 Streaming remotes should just have tracking features built in; and in fact, one already does. 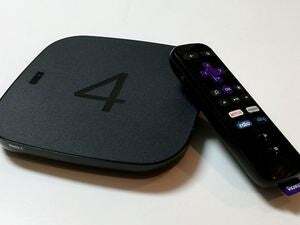 With the Roku 4, users can press a button on the set-top box to play a sound on the remote. 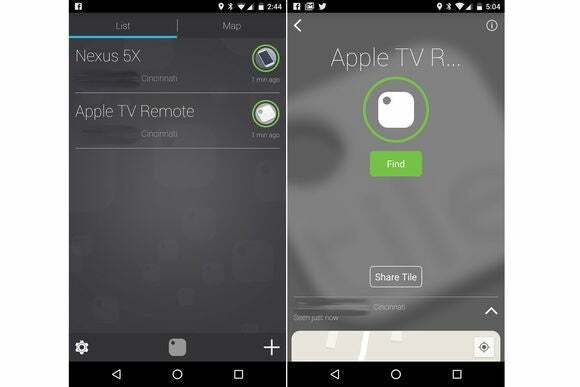 Apple has tried to go its own way with the Apple TV remote, with few navigation buttons and a touchpad for swiping through apps, but a way to find a lost remote is one feature the company really ought to steal.